NECN is reporting that the president of Pride Motor Group in Lynn, Massachusetts, was killed in Middleton, Massachusetts Sunday night when a Ferrari he was inside hit a tree and burst into flames. Michael Iovanna and one other man died in the crash near the intersection of Peabody Street and Bow Street. 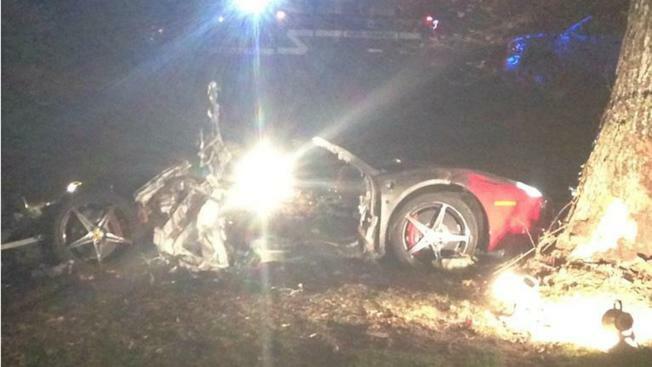 According to local police, the pair are killed after the Ferrari they were in spun out and hit a tree. Police Chief James DiGianvittorio noted that flames were as high as 30 feet. Iovanna’s father Ralph founded the dealership in 1978, selling Ford, Lincoln and Mercury cars. Ford offered Pride a dealership termination package in 2007, and it took up Hyundai as the anchor, and has been successful in the New England Region ever since. 11 Things You Didn't Know About "I Can't Drive 55"
INFOGRAPHIC: How Expensive is the Most Expensive Classic Car? Ferrari Boss Luca Cordero di Montezemolo Quits; Calls Company "American"